We wish him loads of congratulations..
Danish Akhtar, who is best known for his role as Hanuman in Star Plus' Siya Ke Ram is all set to tie knot soon. Yes! That's right. The actor, we hear will be getting married on 26th January 2018 in Mumbai. Danish is getting married to his lady love Nadia Shaikh whom he first met in the gym. We contacted Danish who confirmed the news, "Yes I am getting married in a private affair. It is the gym, where I met her for the first and gradually got to know each other." We wish the couple loads of congratulations! 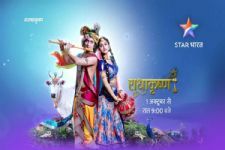 THIS RadhaKrishn actress to enter Colors' Jhansi Ki Rani; Look Inside! This 'Siya Me Ram' actress BAGS Colors' Kesari Nandan! THESE Star Plus Actors to EXIT the Show Due to Low Ratings! Woah! This popular Star Plus show goes GLOBAL after all this time! Iulia Vantur unveils her First Look for her Bollywood Debut!